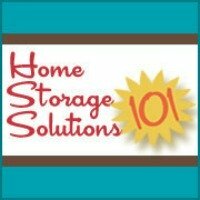 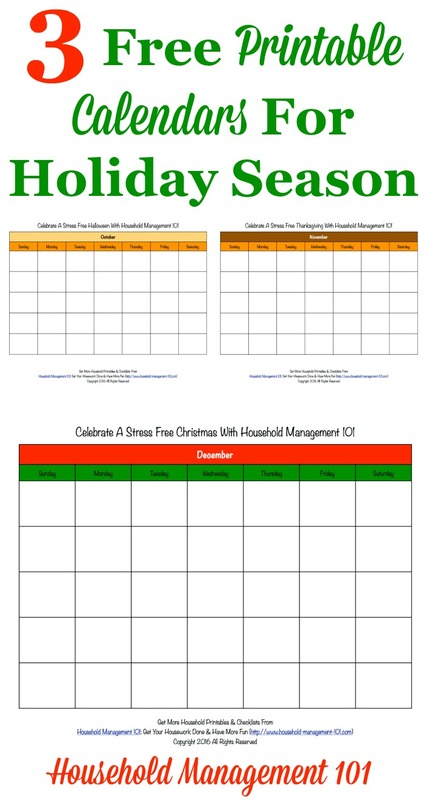 Here are 3 free printable holiday calendars, for Halloween, Thanksgiving, and Christmas, that you can use for planning while doing the Stress Free Holidays Challenge this year. 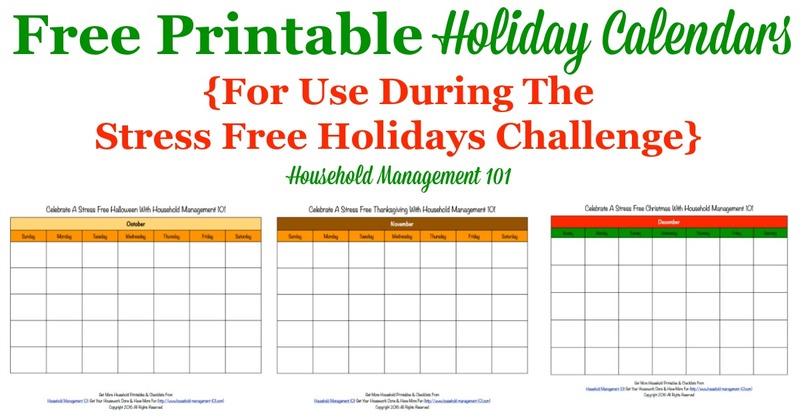 These printables are designed to be placed inside your holiday planner, along with the other holiday related printables available for this challenge. 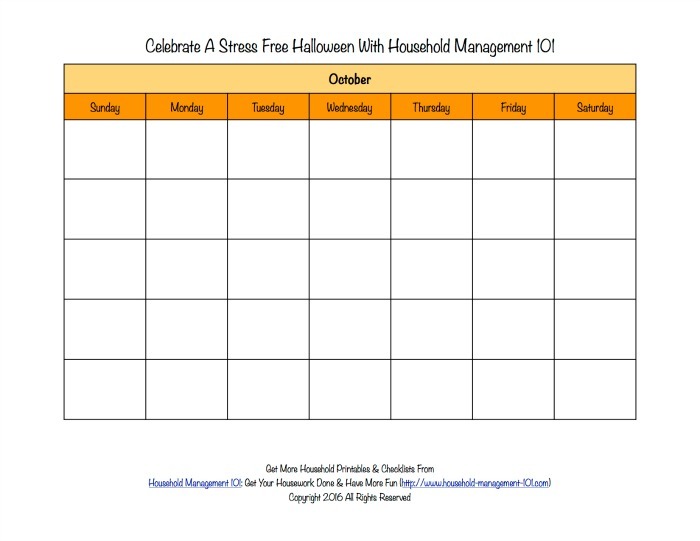 Get the Halloween calendar here. 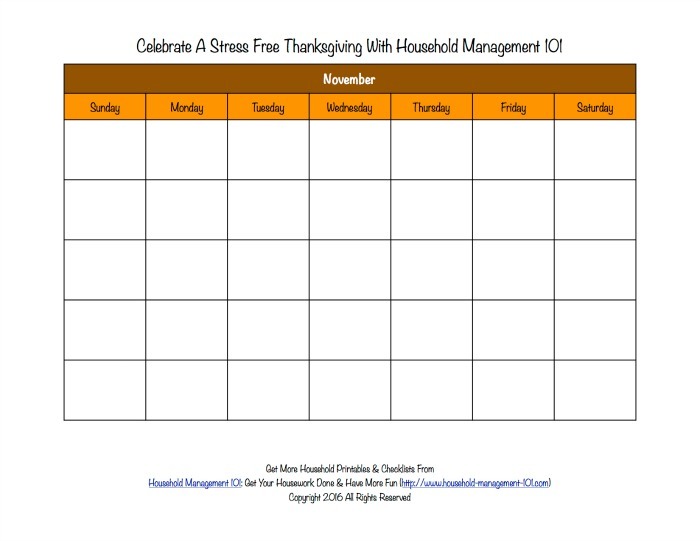 Get the Thanksgiving calendar here. 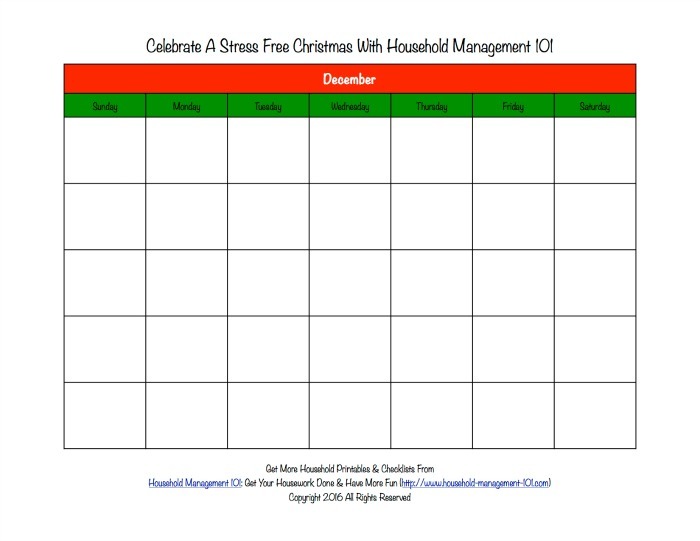 Get the Christmas calendar here.